A novel about Americans searching this French port city for themselves. Scroll down to learn more. 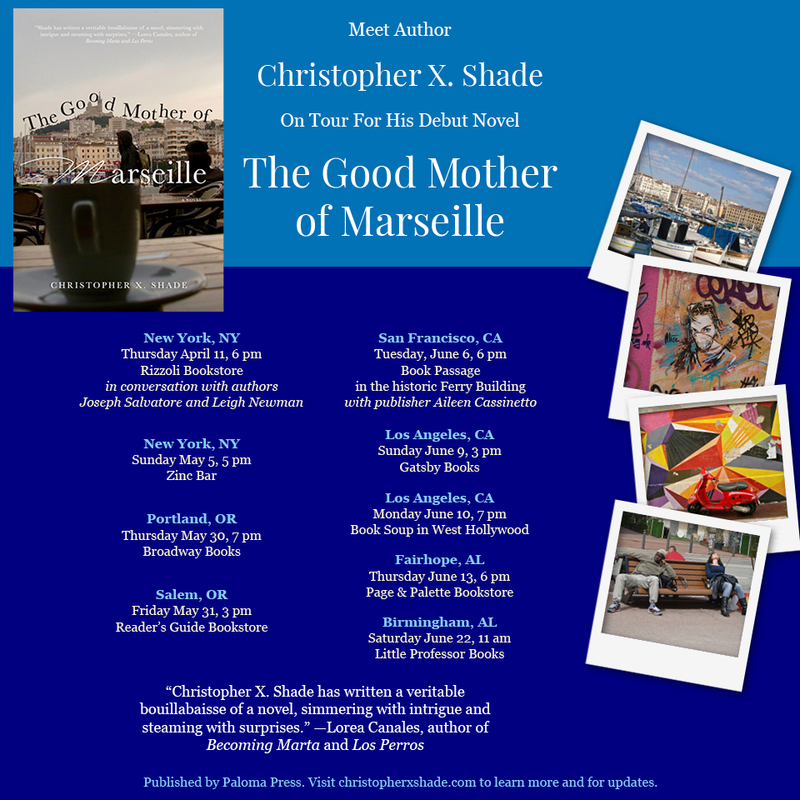 Beginning in April, I’m going to travel to many cities in the US to speak about my book, The Good Mother of Marseille. I feel it is a great privilege to have this opportunity and I am very much looking forward to each of the appearances. The publication date of the book is Tuesday, April 9, 2019. If you have other bookstore or book festival suggestions, or would like to invite me to appear at an event, please do contact me to let me know. Click here to open this flyer in a new browser window. In conversation with authors Joseph Salvatore and Leigh Newman. Site Content © Christopher X. Shade 2018.